5 February this year is the 20th anniversary of the departure of Lim Chin Siong, the eminent leader of national liberation and democratic struggle in Malaya. 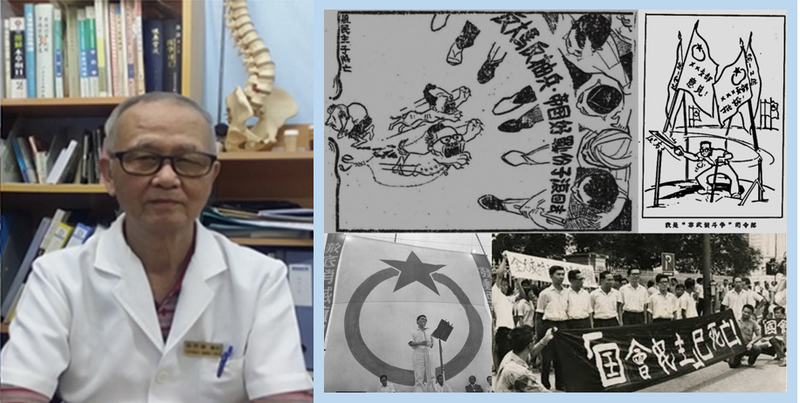 On 23 January, Sahabat Rakyat released an article entitled The Best Way to Commemorate Lim Chin Siong Is To Propagate His Ideology and Ideal (《纪念林清祥的最好办法就是宣扬他的思想理念》) in Chinese language. We hope that this article will arouse the reflection of those who were actively involved in the national liberation and democratic struggle of the people of Malaya (including Singapore). We also hope that the new generation who are currently actively involved in the democratic revolution struggle of Malaysia and Singapore will gain a better understanding on the practice of the struggle of anti-colonialisation for independence and democracy jointly carried out by the people of Malaya and Singapore before 1950s and 1960s. On 5 February this year, Sahabat Rakyat published the English rendition of Part of Lim Chin Siong's Q&A Posthumous Manuscript (《林清祥<答问>遗稿片段》) and the Editor’s Notes specially written for publishing this manuscript done by the secretariat to the best of their ability on Sahabat Rakyat blog. Subsequently, on 22 February, the English rendition of The Best Way to Commemorate Lim Chin Siong Is to Propagate His Ideology and Ideal mentioned above was published. 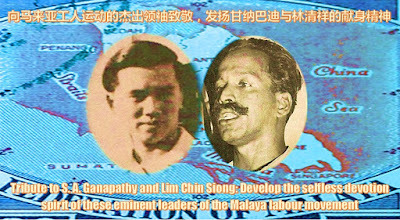 This is to commemorate the 20th anniversary of Lim Chin Siong’s departure by providing an opportunity to the ethnic communities (such as Indian and Malay communities and minority groups) who do not understand Chinese language and the non-Chinese-educated communities to correctly understand Lim Chin Siong’s view on the national liberation and democratic struggle of the people of Malaya and Singapore and the summing-up of his experience on the anti-colonialisation struggle. (ii) To jointly organise a forum with the theme “Tribute to S. A. Ganapathy and Lim Chin Siong: Develop the selfless devotion spirit of these eminent leaders of the Malaya labour movement”. S.A. Ganapathy is an eminent Indian leader emerged in the anti-colonialisation and labour movement of Malaya (including Singapore) in 1930s and 1940s. He was the first President of Pan-Malayan Federation of Trade Unions (PMFTU), which had more than 300 thousands members. 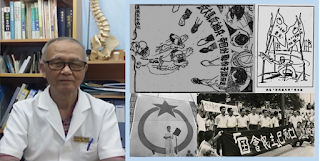 Lim Chin Siong is an eminent Chinese leader emerged in the anti-colonialisation and labour movement of Malaya (including Singapore) in 1950s and 1960s. He was a political leader with strong grassroots support whom had made Lee Kuan Yew worried waking or sleeping and had to devastate him after seizing ruling power. The selfless devotion spirit of these two figures towards the national liberation and democratic struggle of Malaya should be highly respected and carried forward. For this, we have invited the following six persons to become panel speakers of our forum. We hope that they could share their views, from their own perspectives, about these 2 historical figures including their spirit, with the democrats of all ethnic communities from Malaysia and Singapore. Even if any of the invited panel speakers is unable to make it to the forum, we very much hope that they will still provide a paper for this forum.